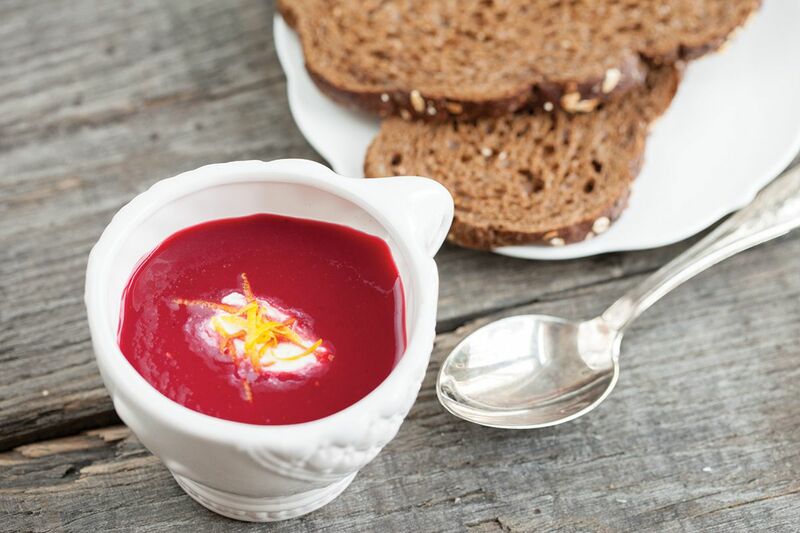 This red beet soup is simple to make and very tasteful. Smooth and lemony, what more do you want? Ready in about 20 minutes. PEEL and cut the shallots, it doesn’t really matter how you cut them, you’re gonna blend them anyway. SQUEEZE all the juice out of the lemon and set aside. HEAT some olive oil in a medium-sized pan and sauté the shallots for a few minutes. 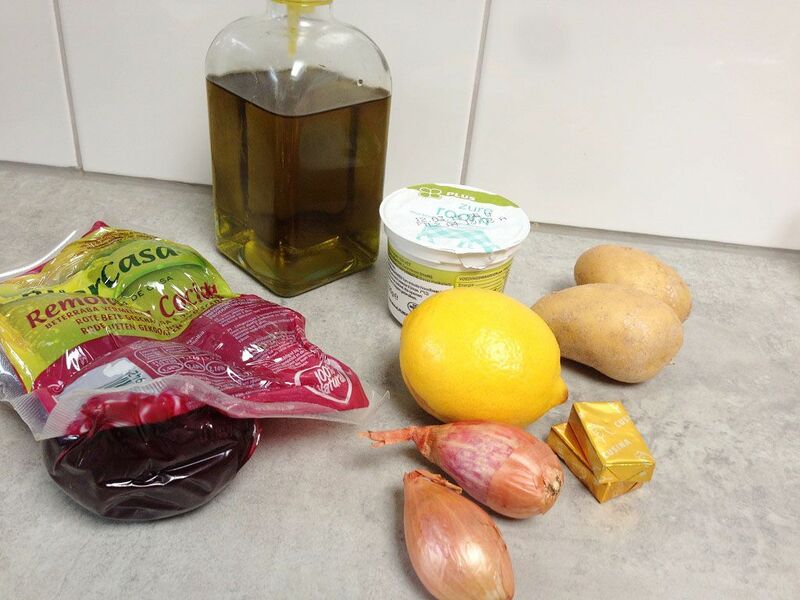 ADD the potatoes and red beet and sauté for a few minutes more. ADD chicken stock and bring to a boil. Let it simmer until the shallots are soft. 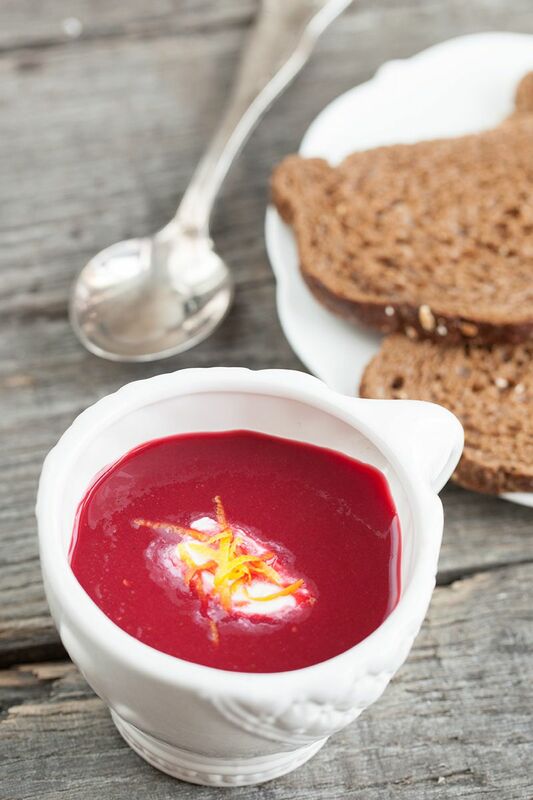 BLEND the soup and rub through a fine sieve to be sure the soup is very smooth. BRING back to a boil again and add lemon juice. Season with pepper, salt and maybe some chicken stock. 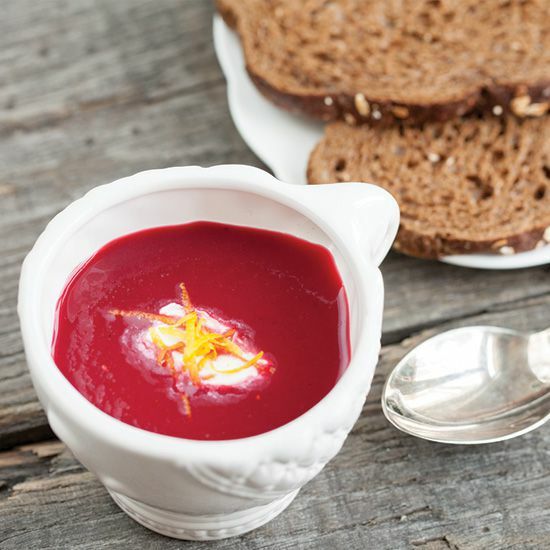 DIVIDE the red beet soup into 6 bowls or plates and top it off with a spoonful of sour cream. Enjoy your meal!